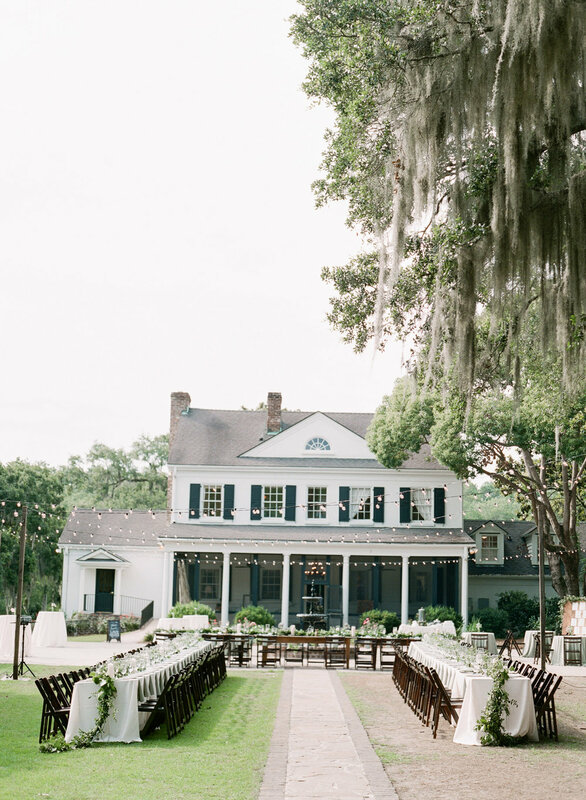 Charleston, South Carolina is full of beautiful, Southern and one-of-a-kind wedding venues. 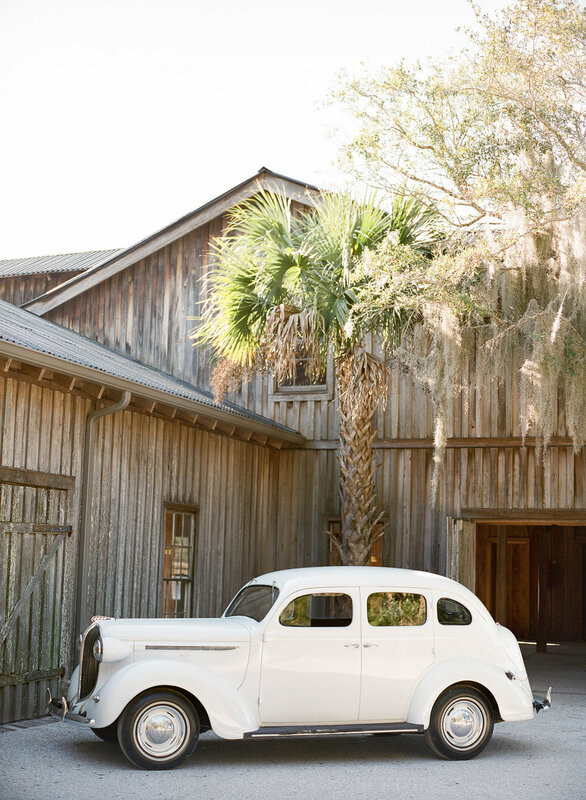 While planning your perfect Charleston wedding, you’ll discover that some are rustic while others are more classic. Below we’ve listed some of our favorite Charleston venues to work at! A National Historic Landmark, Middleton Place is an unforgettable setting for one-of-a-kind weddings – and an enduring, vibrant, essential part of the American experience. Its sweeping views of the Ashley River, iconic House Museum, moss-draped, centuries-old oak trees, meticulously manicured gardens bursting with color and sculpted terraces, an array of unique indoor and outdoor spaces for both the ceremony and reception, plus a 54-room Inn make Middleton Place one of Charleston’s most treasured wedding venues. Whether you’re dreaming of an intimate ceremony with friends and family, or a grand wedding weekend of myriad celebrations, we’ll help you craft memories that last a lifetime. A seamless blend of 18th-century charm and modern sophistication, The William Aiken House welcomes guests into a peaceful retreat just inside its stately gates on Upper King Street. Formal dining rooms and parlors showcase a collection of museum-caliber artwork and antiques, while a two-century-old magnolia tree is the centerpiece of sunlit courtyards, manicured lawns and an elegant pergola. 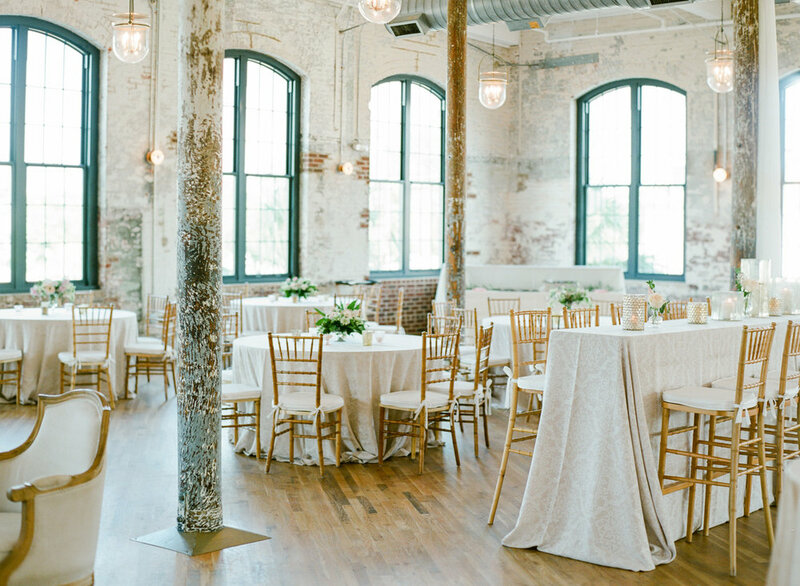 The Cedar Room at Mercantile and Mash, located in the celebrated Cigar Factory is an open and airy space, featuring historic wood columns, hardwood floors and original elements of the circa 1881 building. The walls consist of rustic brick and floor-to-ceiling windows that reveal a view of the architecturally acclaimed Arthur Ravenel Jr. Bridge. Whether you are from the Lowcountry or planning a destination wedding in Charleston, we hope that your guests will feel at home when you invite them to Magnolia Plantation to celebrate with you. In the springtime you will find our gardens filled with colorful azaleas and wisteria. During the warmer months of summer, vibrant crepe myrtle, hydrangeas, and our iconic magnolias fill the property. Fall brings an encore season of azaleas, morning glory, and the beginning of camellias. Throughout the winter months, our historic gardens showcase America's largest collection of camellias. There is no question that The Cotton Dock is the most famous and most popular venue at Boone Hall Plantation. But helping to create the perfect place for that perfect moment is what we do and as you explore the various venue options at Boone Hall, you will discover that there are a variety of spectacular locations on the plantation where the world can stand still and make a lasting impression for your special day. The majestic front lawn in front of the mansion, the intimate patio area behind, and the spacious back lawn flanked by gorgeous tidal marshes…all create spectacular possibilities for a couple’s special day. . Celebrate your next special occasion at the Legare Waring House and dance the night away beneath a canopy of moss-draped oaks. Many memorable events have taken place at this historic 1840s home, which resides amid the manicured gardens of Charles Towne Landing, the site of South Carolina's first permanent settlement. Wingate Plantation features a quaint, old farmhouse nestled among centuries old, majestic oak trees draped in Spanish moss. The site has a 40×80 elegant wedding tent situated on the banks of a placid, saltwater pond. Surrounded by 14 acres of live oak groves and peaceful river views, downtown Charleston's last great waterfront estate has enchanted visitors to this idyllic setting for more than four centuries.